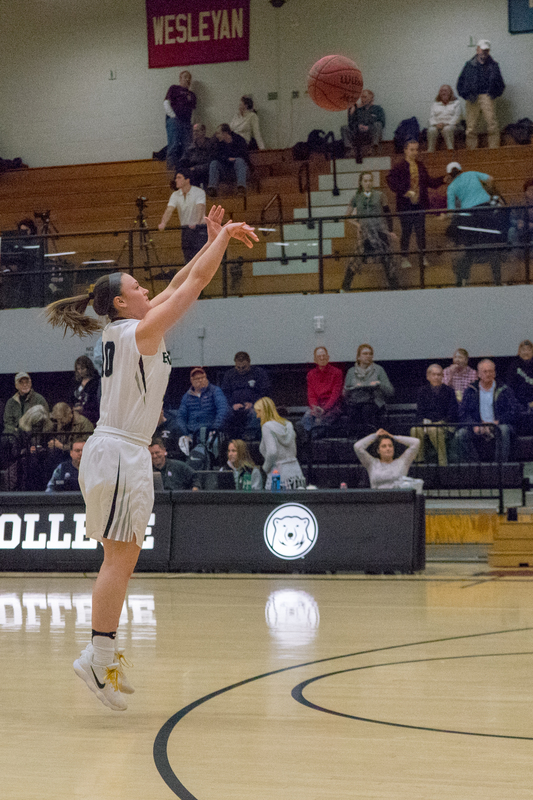 After posting an incredible 9-1 regular season record and 24-1 overall record, the women’s basketball team was upset by Tufts (24-2, NESCAC 8-2) 60-48 in the NESCAC Semifinals in its first double-digit loss of the season. 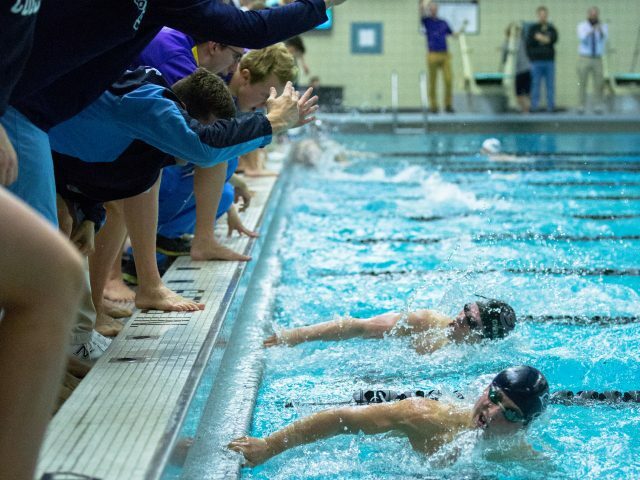 The loss, however, does not signal the end of the team’s season, as it was selected as an at-large bid for the NCAA Championships. Tufts outscored the team in every quarter for the first time this season and also out-rebounded the Bears 47-34. Captain Katherine Kerrigan ’18 expressed similar sentiments reflecting on the loss. Despite the loss, the team had a great season, ending with an overall record of 24-2. This has been the most successful season since Shibles became coach. She credits her success to the team’s unity and ability to maintain a positive outlook. On Monday, the team found out it was not only chosen as an at-large bid for the NCAA tournament, but was also chosen to host this year’s competition. The Polar Bears begin the tournament against Husson (19-9), who they beat 88-58 earlier this season, on Friday at 7 p.m.
“[Choosing at-large bids] is a complex process, but the three most important factors in determining at large teams are win-loss percentage, the number of wins against ranked opponents and strength of schedule,” Shibles wrote. “We place well in all three categories. Despite what people think, our schedule was very difficult. There are five conference champs who we competed against and beat during the season. Despite the team’s success against Husson in January, Shibles is still preparing for a difficult game. Going into the tournament, the team will focus on making it as far as possible.